Our Wood Room has floor to ceiling wood walling, four 8 foot windows and adjustable seating. This space comfortably seats 12-20. Shoji panels are available to close off doorways for privacy. The room has access to electrical outlets, wifi and nearby storage. 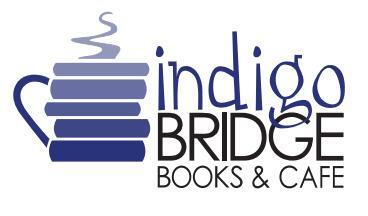 Email monty@indigobridgebooks.com to rent this space for your private functions. We offer an Indigo Bridge gift registry for baby showers, adoption celebrations, birthdays and weddings. Our staff will help you create your wish list, keep all of your books together for gift-givers to purchase, and give exclusive use of our hedgehog wrapping paper. In thanks for shopping at Indigo, the gift recipient will get a linen Indigo bag, which gives them 10% off future purchases. The gift that keeps on giving! Pair your event with a Wood Room rental to keep the party in-house! Take over the room for a morning, afternoon or evening for only $25.